Ever watched the movie Hachiko? Well his story is rather similar to the events that happened in the movie. Makes you wonder, how much your pet values you as a companion. A poor dog has reportedly “died of a broken heart” after being abandoned by her owner at an airport in Colombia. She spent the last month of her life wandering around the airport in search of her master and eventually stopped eating as a result of severe depression. 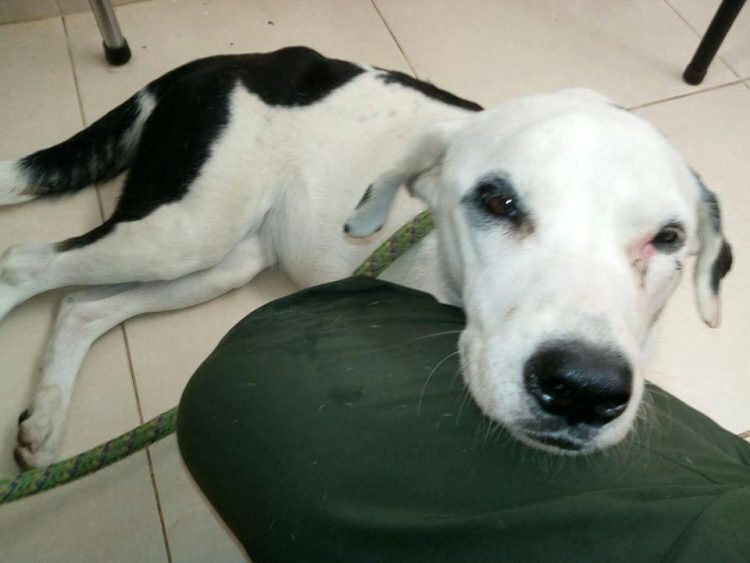 The distressed dog, named Nube Viajera (Traveling Cloud) by the veterinarians who rescued her from Palonegro airport, near Bucaramanga, and looked after her until the very end, was only about two years old, but after a month of wandering around sniffing passengers and refusing to accept food and water, she had become so weak that she was barely able to stand. Witnesses said that in the last days of her life, the animal gave up her daily search and crawled into an isolated corner, refusing to accept any food that passengers and airport staff offered her. She was finally taken to a veterinarian clinic after someone alerted the Friends of Animals and Nature Foundation of Bucaramanga, but despite their best efforts, she died within 48 hours of being rescued.